promoting safety campaigns, video productions that include Andrew Hobbs, the son of Greg Hobbs and a professional racing driver being the face of a series of public service announcement’s, special discounts and offers for students and parents, and a number of cross promotion ideas. 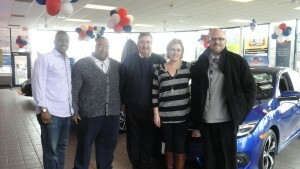 David Hobbs Honda, is one of the oldest and most recognized car dealerships in Wisconsin, with a great reputation and heard throughout the state on radio and TV. Arcade Drivers School is the oldest and largest driving school in the state of Wisconsin, with thousands of students that enroll every year in multiple locations. Arcade Drivers School & David Hobbs Honda, both parties agree, are a natural fit for success. (more to come on this story).